VSSL is a revolutionary new audio streaming amplifier that is truly one of a kind. In fact, there is presently no technology available that is as easy to use and accessible as the VSSL home music streaming system, which allows you to stream music to any room in your home using any application that is available for your devices. With VSSL, you can choose to play different music for different rooms in your home. Our multi-room music streaming technology allows you to pick reggae for the back patio, jazz in the kitchen, rock in the basement, and pop in the living room, all streamed to each individual room simultaneously. The possibilities are endless. Simply put, you can control your various audio streaming zones from your VSSL home music streaming system, which connects directly to your Wifi router and thus can be accessed through any of your preferred applications. The ability to connect directly to VSSL using music apps that are native to your device, allowing you to access VSSL and play your music directly to your specified audio zones. The ability to control your audio zones with any mobile device or tablet. Convenient application for installation and fine-tuned control. Easily establish party zones, allowing a one-time party zone setup which makes for an incredibly simple music streaming experience with zero complication. Automation integration: If you have an existing home automation system, VSSL will simply integrate directly into your system without any unnecessary complications. Our drivers expose capabilities and various controls in order to allow VSSL to function as a matrixed audio distributor. The ability to use voice control with Google Home or Amazon Alexa, making for an even more convenient music streaming experience. This means there are no required third party control apps. Music streaming with VSSL is fast, convenient, and direct, and new services are immediately available, so there is no need to have to wait for updates in your system. VSSL’s multi-room music streaming technology is designed with thorough detail in order to make it incredibly reliable, smooth, and consistent. The only wiring involved with this home music streaming system is when it comes to your VSSL speakers. Everything else is completely wireless. Once your VSSL speakers are installed and up and running, everything else is just a button or voice command away. VSSL’s amps have been designed to work with in-wall, in-ceiling, and other forms of passive multi-room speakers. VSSL’s speaker outputs are 8 and 4 ohms stable, and include auto protection circuitry in order to keep your music playing smoothly and uninterrupted. VSSL’s multi-room music streaming device is made with only the highest grade components available in the industry. We incorporate highly powerful and efficient circuitry and supply 50 watts per channel. The music quality you will get from VSSL is clear and high in quality. Our multi-room music streaming technology allows you to fine tune your system via EQ, zone assigning, and master volume control. All of this gives you ultimate control over your audio streaming to any room on your property, and allows you to fully customize your listening experience. Our home music streaming technology includes two different versions. The A6 version of VSSL gives you the ability to stream your audio for up to 6 different rooms in your home or business. This includes the ability to use 6 different devices for 6 different zones all at the same time, from any application in the world! With the A6 version, you can also group various zones together for either multi room or whole home listening. The A3 version of VSSL is the same as the A6 version, but allows independent streaming and power for up to 3 different audio streaming zones for those who do not require such a wide range of audio streaming locations. Private residences and businesses would greatly benefit from VSSL in many ways. Our multi-room music streaming technology will make the perfect asset to a residence in which house parties are a regular occurrence, or a vacation home where many people are often coming to visit. VSSL allows you to liven up any party or family get-together with your own personal soundtrack, and gives you the ability to set the mood for different areas of your home via different music options. Needless to say, this would make a smart investment for businesses such as restaurants, spas, physical fitness centers, or any other location in which music plays a major role. VSSL’s multi-room music streaming abilities can also be utilized for non-music audio requirements, such as live, online speech broadcasting or informative speech to various rooms within churches, office spaces, museums, conference centers, and other organizations. 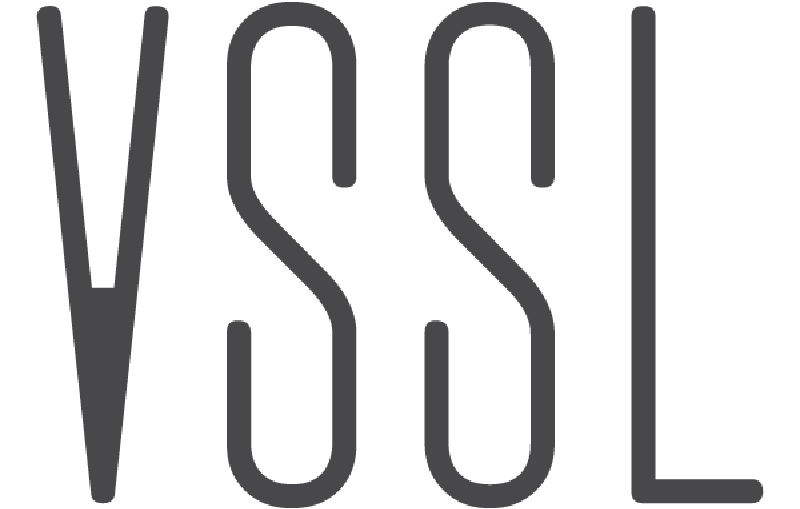 VSSL is available for both home distributors and end users. We are proud to offer our audio streaming services to private companies who would benefit from carrying our revolutionary new product. And our product is of course available to any end user who may be interested in incorporating our unique multi-room audio streaming system to their home, office, or private business. VSSL gives you an audio streaming experience like you’ve never heard before. We are unrivaled in our ability to provide our customers with convenient, high quality audio technology that spans multiple rooms and locations. VSSL allows our customers an easy and convenient way of using complex and innovative technology. Whether you are seeking multi-room audio for a private residence, or for a commercial setting, VSSL has everything you need for a fully comprehensive, high quality audio streaming experience.